Hershey Entertainment and Resorts reserves the right to inspect and search all items and guests entering Hersheypark Stadium, Giant Center and Hershey Theatre. Guests should be prepared to have all hand carried items open and ready for inspection. Hand carried items include, but are not limited to bags and purses that meet the size requirements. Hershey Entertainment and Resorts has implemented the use of magnetometers for all guests upon entry. We recommend that guests arrive at least 45 minutes prior to event start time and bring only essential items in to the venue. Parking charge varies per event. Parking is easy at Giant CenterSM with 10,000 parking spaces, including accessible parking options. Please see our map below for details. Tailgating is not permitted. Please review our policy. Hersheypark Season Passes are not valid for free parking at Giant Center. Preferred parking available for concerts and shows. Accessible parking is located in the Preferred Parking Lot and in the General Parking areas. 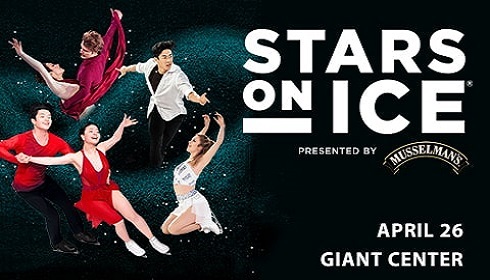 Giant Center is proud to host a sensational line-up of star studded performances, family shows, and Hershey Bears hockey. We offer three convenient ways for guests to order tickets. Can I purchase multiple venue tickets at the same time? Make planning easy by purchasing multiple venue tickets at the same time! Call 717-534-3911 to place your order for Giant Center, Hersheypark Stadium, and Hershey Theatre tickets. Doors open approximately 90 minutes prior to the start of the show. Please note, this time may change without notice. Please call the Box Office at 717-534-3911 for additional information. Lost tickets can be re-printed at the box office on the day of your event, with valid ID, for a nominal fee. Please contact the Box Office for additional information. Once your order has been processed, no refunds or exchanges will be accepted. Please make sure you've selected the proper event and time, venue, and seat locations (when applicable) prior to completing your order. We are not responsible for lost or stolen tickets. Giant Center strives to accommodate all guest needs. If you have specific accessibility questions or concerns, please contact the ADA Coordinator directly at 717-534-8958, TTY 717-534-8955. Pick the perfect seat to enjoy your show or game at Giant Center! Click here to view the Giant Center seating chart. Premium seating and accessibility accommodations are also available. Hours currently available from Apr 22 to May 31, 2019. Video recording devices are strictly prohibited during all professional productions inside Hershey Entertainment venues. Simple cameras are defined as still photograph cameras that do not have detachable lenses, or cameras with an attached lenses of less than 2.5" x 3.0". The official camera policy may be modified based upon the requests of artists/performers. On show days, the camera policy will be advertised on signs at the entrances to the venue. Hand-held video cameras and still cameras for personal use may be brought into the venue, provided all actions are recorded in accordance with PIAA regulations. Please be courteous to those guests around you when taking pictures. Tripods and monopods are prohibited. Hand-held video cameras and still cameras for personal use may be brought into the venue, provided no game action is recorded in accordance with American Hockey League regulations. Please be courteous to those guests around you when taking pictures. Tripods and monopods are prohibited. To ensure the safety and enjoyment of all our guests, the Hershey Entertainment Complex strictly prohibits the operation of or use of any unmanned aerial vehicles (UAVs), commonly known as "Drones," on, from, or above the Hershey Entertainment Complex premises without specific written permission from an official of Hershey Entertainment & Resorts. This includes all UAVs regardless of size, weight, or purpose. Unauthorized filming, video or audio taping, photographs, records, and all other depictions of Hershey Entertainment venues and/or events are prohibited. Use of photo arms, more commonly known as "Selfie-Sticks," is strictly prohibited at all events, including concerts, sporting events, and family shows at all Hershey Entertainment operated venues to ensure the safety of our guests. We encourage you to keep all Selfie-Sticks locked securely in your vehicle. Guests that do not comply with this policy may be subject to dismissal without refund. What is your security process? Hershey Entertainment & Resorts has implemented the use of magnetometers for all guests upon entry. Guests should be prepared to have all hand carried items open and ready for inspection. It’s recommended to arrive at least 45 minutes prior to event start time and bring only essential items into the venue. I purchased my tickets from StubHub (or another third party outlet), who do I contact for a refund? Unfortunately, since that is a third party ticket seller we are not able to assist. The only authorized ticket outlets is our Box Offices and Ticketmaster. We encourage you to only purchase from either of these outlets. Where is the Giant Center? Giant Center is located at 550 West Hersheypark Drive Hershey, PA 17033. Get directions. There are many hotels near the Giant Center. For more information visit, Where To Stay. How many people does the Giant Center hold? The Giant Center is a 10,500-seat multi-purpose arena in Hershey, Pennsylvania and home to the Hershey Bears® ice hockey club. 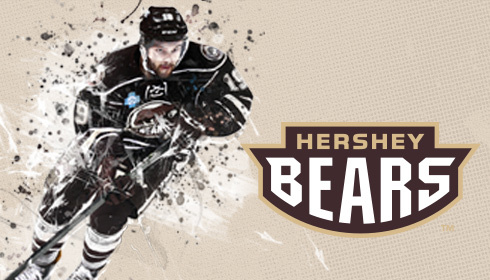 Hershey Bears have held the AHL record for attendance since 2006. What Is The Hersheypark Event Special And When Is It Available? With The Hersheypark Event Special you can receive discounted admission to Hersheypark with your event ticket stub when you present it at the Hersheypark Ticketing Services Building. Event ticket must be presented the day before, day of, or day after an event. The Hersheypark Event Special is available during the Hersheypark summer season, during regular operating hours. For more information on how to receive this discount, visit the event special section of the Hersheypark admission tickets page.